Patients may exhibit risky bone health behaviors. In a large pragmatic clinical trial, we tested whether a tailored patient activation DXA result letter accompanied by a bone health brochure led to smoking and excessive drinking cessations. The intervention did not, however, alter these risky bone health behaviors. 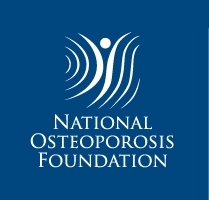 Besides dual-energy x-ray absorptiometry (DXA) screening and pharmacotherapy when indicated, beneficial bone health behaviors including proper calcium and vitamin D intake and weight-bearing and muscle-strengthening exercise should be encouraged. Similarly, risky bone health behaviors like smoking and excessive drinking should be discouraged. We examined whether a direct-to-patient activation intervention led to smoking and excessive drinking cessations. The Patient Activation after DXA Result Notification (PAADRN) pragmatic clinical trial enrolled 7749 patients between February 2012 and August 2014. Interviews occurred at baseline and 12 and 52 weeks later. 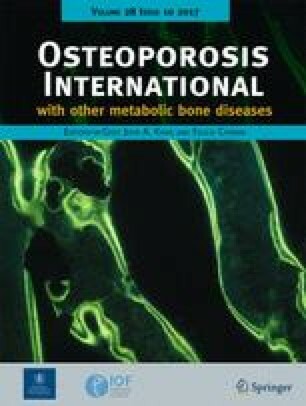 Intervention subjects were mailed an individually tailored DXA results letter accompanied by a bone health educational brochure 4 weeks post-DXA. Usual care subjects were not sent these materials. Smoking and excessive drinking were assessed by self-report at each interview. Intention-to-treat linear probability models were used. Mean age was 66.6 years, 83.8% were women, and 75.3% were Non-Hispanic-Whites. Smoking was reported at baseline by 7.6% of the intervention group vs. 7.7% of the usual care group (p = 0.873). Excessive drinking was reported at baseline by 6.5% of the intervention group vs. 6.5% of the usual care group (p = 0.968). Intention-to-treat analyses indicated no significant differences between the intervention vs. usual care groups at either 12 or 52 weeks post-DXA (all p values ≥ 0.346). An individually tailored DXA result letter accompanied by an educational brochure did not lead to smoking or excessive drinking cessations in patients who received DXA. Trial Registration: clinicaltrials.gov identifier NCT01507662. This work was supported by R01 AG033035 (Cram/Wolinsky) from the NIA at NIH. Dr. Cram is supported by a K24 AR062133 award from NIAMS at the NIH. Dr. Saag is supported by a K24 AR052361 award from the NIAMS at the NIH. F. D. Wolinsky, Y. Lou, S. W. Edmonds, D. W. Roblin, M. P. Jones, and P. Cram, have no conflicts of interest. N. C. Wright has received unrestricted grant support from Amgen for work unrelated to this project. K. G. Saag has received grants from Amgen, Eli Lilly and Merck and has served as a paid consultant to Amgen, Eli Lilly, and Merck unrelated to this project.